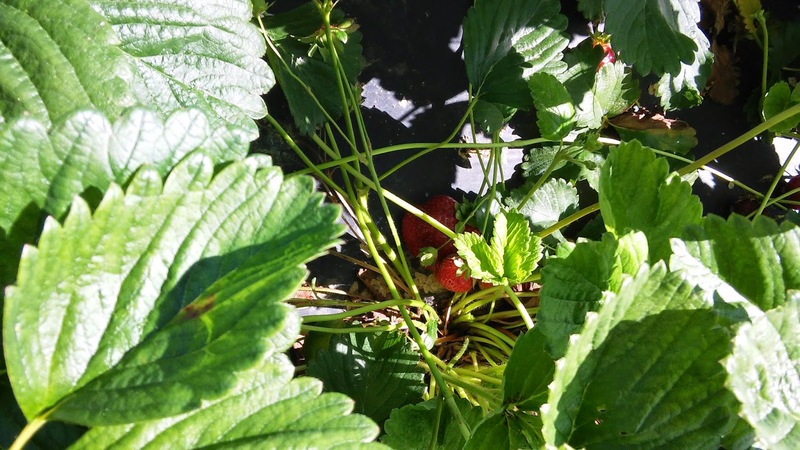 Jared Unzipped: Time To Pick Strawberries! Oh, what a lovely day for picking strawberries! Crystal and I made a visit to Apple Farm, located in Gibsonville, North Carolina. This has become our go-to spot for strawberries. 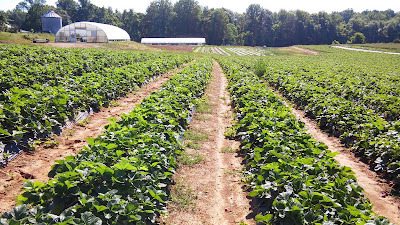 Just a few of the endless rows of strawberries. They have a vast strawberry patch where you can pick your own berries. We stopped by early this morning. Upon arrival, we happened upon an endless series of rows dedicated to the luscious red fruit. 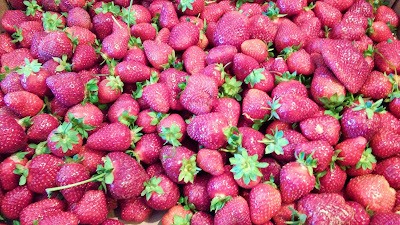 After only half an hour, we'd picked over ten pounds worth of strawberries. It was a real pleasure to get out in the country and pick our own, versus buying them at a grocery store. Much less, the knowledge that our fruit is completely fresh is very comforting. Who knows where the strawberries in grocery stores come from? They may not even be from America. Just a few of the many gems I found hidden underneath the leaves. 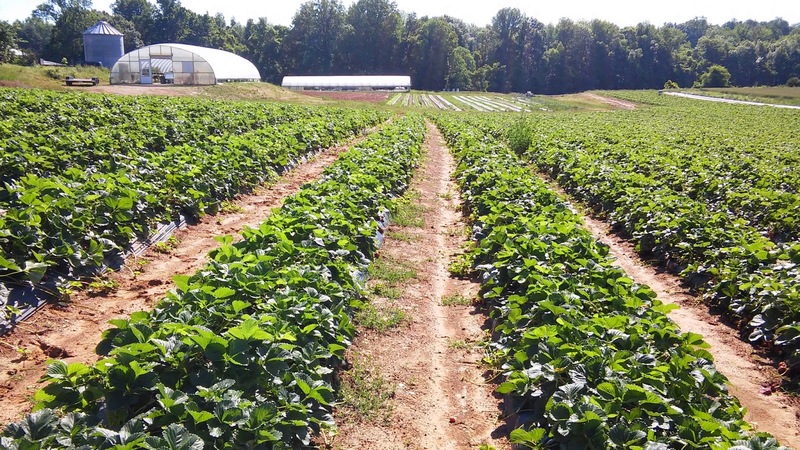 At only $1.25 per pound, Apple Farm offers a substantial bargain on strawberries. You just have to be willing to invest a little bit of time and sweat to get what you want. In my book, that's a fair deal. If you're in the area, stop by Apple Farm and give them some business. They offer many other fruits and vegetables besides strawberries, as well as flowering plants. I'm sure they'd appreciate your support.